I love reviewing Christmas children's books during this time of year, and it is my great pleasure to showcase Little Shepherd on my blog today. On a cold night outside of Bethlehem, a little shepherd named Obed watches over his sheep. Now five, Obed has his own flock to guard. He's proud that his father has entrusted him with such responsibility. After all, his family depends on the sheep for food and clothing. But little Obed is also worried about the wolves and so he keeps a sharp eye on his flock. Then one night, a bright light shimmers in the star-filled night. Angels come with a message, a message of good things to come for everyone on earth. Obed's father decides they must go to Bethlehem to find this newborn babe. Obed, however, is terrified. 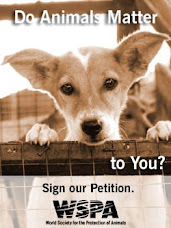 How can they even consider leaving the flock alone at the mercy of the starving wolves? His father tells him not to be afraid, but Obed is doubtful. Will his flock be safe in his absence? That will require a miracle! The Little Shepherd is a 'cozy' picture book to read by the fire with the family this holiday season, especially on Christmas night. The author's prose flows beautifully, with just the right balance of narration, description and dialogue. It is a sweet tale about the power of faith and the good things that come with it. The story has a quiet, magical, slightly suspenseful tone and looks at the birth of Jesus from a different angle. I also enjoyed the colorful illustrations by Eugene E. Ruble. They do have a distinctive style and add a splash of color on the pages and help transport the reader to a different time and place. In short, Little Shepherd will make a lovely gift to any child this Christmas. It will also be a worthy addition to any library or classroom shelf. I look forward to this talented author's next book. 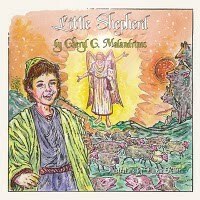 Little Shepherd is Cheryl Malandrino’s first children’s book. In addition to being an author, she's also a publicist, freelance writer, founding member of Musing Our Children, Editor in Chief of the group’s quarterly newsletter, Tour Coordinator for Pump Up Your Book, and book reviewer. She lives in Western Massachusetts with her husband and two young daughters. Connect with the author via Twitter and Facebook. Eugene E. Ruble’s 40 years of art encompasses: graphic art and design, freelance illustration, and cartooning, working with publishers, corporations and individual clients. Ruble teaches caricature art, cartooning, painting and basic drawing classes at St. Louis community centers, public schools, YMCAs and colleges. He also illustrates children’s books. Look for his books at Guardian Angel Publishing. Eugene is a 30-year Distinguished Member of the St. Louis Artists’ Guild. Thanks for the lovely review of Little Shepherd, Mayra. 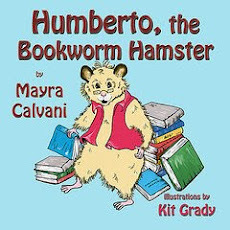 You have written so many wonderful books for children that your words fill my heart my joy. Anyone who leaves a comment on this review (ncluding email address so I can contact you if you win) will be entered in a giveaway for a lovely basket of Christmas themed gifts retailing for $65. This giveaway is international. What mama wouldn't love a 'cozy' read with her children? Sounds so lovely and inviting. Looks like a great book to remind us all what the holiday season is really about! This sounds like a creative retelling of the familiar story in a way kids can identify with. We always buy a new Christmas storybook every year. This sounds like a great one! Lovely book Cheryl. Your promo campaign is going full swing!! 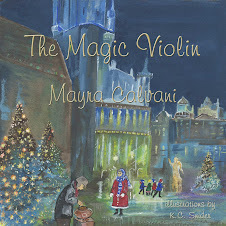 I added Mayra's review etc to my Facebook page. Huge congrats mate. As ever, Mayra did you proud!! I couldn't agree more! I love the Holiday Season and reviewing Children's literature! This sounds like a book that I should feature on my cozy blog! Thanks for reviewing it! This seems like a great book for any family! Wow! You leave for a few hours and you come back to comments galore. Thanks everyone. Your kind words are greatly appreciated. Thanks for adding the review to your FB page, Margot. Can't wait to stop by your blog tomorrow. Barry, my friend, glad to hear your kids have enjoyed it. It's a pleasure hosting you on my blog today, Cheryl! Little Shepherd is a darling book. Thank you all for your kind comments and for visiting my blog! This sounds adorable :) what a great stocking stuffer. What a wonderful book! Mayra, awesome review. You ladies rock! I love Christmas. 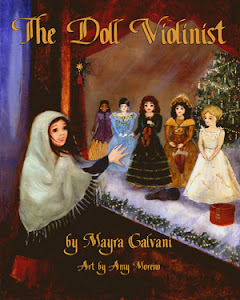 You've inspired me to write a fantasy fiction Xmas story. This is such a nice book for children of all ages. Thanks for the review Mayra! Cheryl, congratulations -- I can't wait to get your book! Books like this one are a wonderful way for parents and kids to spend a little time together at the end of a busy day during the holidays and wind down before bedtime. This looks like a very sweet book ! We always enjoy adding new books to our Christmas reading. I think most of the ones we have now are just about memorized by the kiddos! :) Looks like a GREAT book! Thanks for the review (and for the chance at the giveaway)! Follow Friday -- just followed you with GFC. Hope you follow back. 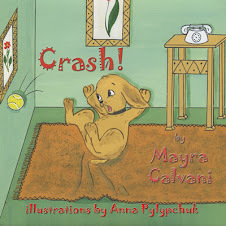 Mayra, this is a great review for a delightful book. Hi there. Wow! I could stay here and visit all day. Esp. 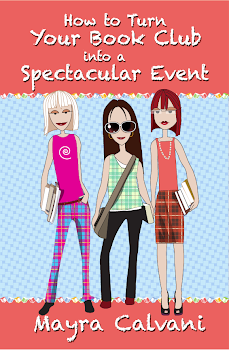 since I have 2 girls who are avid readers, like their Mom. :-) I'm following you from MBC follow me club. I would love to win this book too. i am loving your blog!!!!!!!! im a follower now. 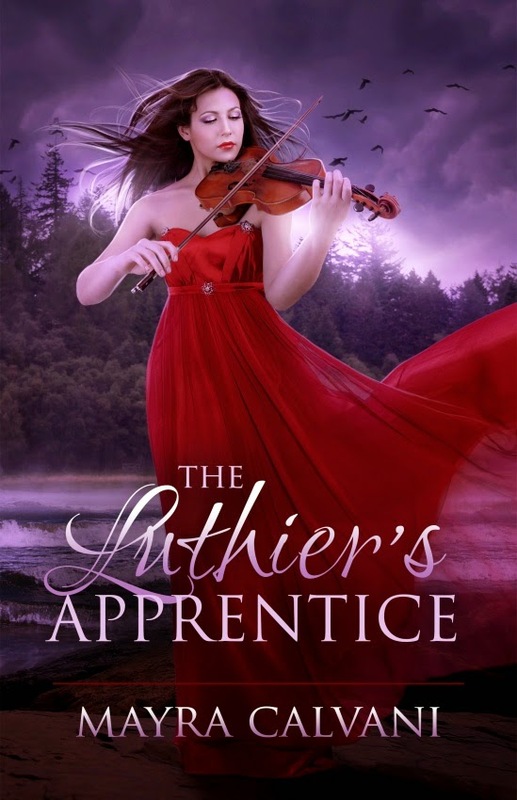 For violin and mystery lovers! 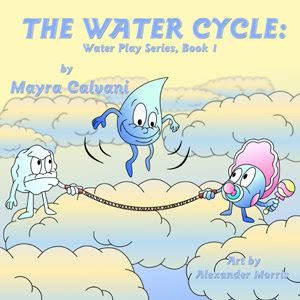 Mayra Calvani writes fiction and nonfiction for children and adults and has authored over a dozen books, some of which have won awards. Her stories, reviews, interviews and articles have appeared on numerous publications like The Writer, Writer's Journal, Multicultural Review, Bloomsbury Review, and others. She lives in Belgium with her husband of 25+ years, two wonderful kids, and her two beloved pets. When she's not writing, editing, reading or reviewing, she enjoys walking with her dog, traveling, and spending time with her family. My latest books! Click on the covers to learn more. ABC's Children's Picture Book Finalist! Honorable Mention Award in the 75th Annual Writers Digest Writing Competition! Click on the logo to visit my official website. 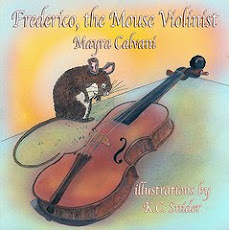 Learn the parts of the violin with Frederico, Antonio Stradivari's favorite mouse! Award-Winning Finalist in the "Children's Picture Book: Hardcover Fiction" category of the 2011 International Book Awards! Be sure your volume is on so you can hear Vivaldi's "Winter"
The Adventures of Zeppi, a series of chapter books for ages 7-10 about a witty, opinionated Adelie penguin. I highly recommend these books to children's writers! 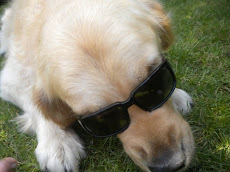 My dog has a blog! Click on the photo to visit Pets & Their Authors. 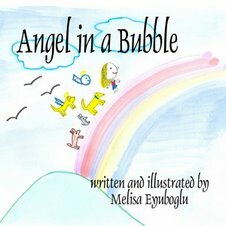 Check Out This Young Author's Book! Guardian angels are being turned into bubbles! Join Alison and her pets—a golden retriever, a deer, and a mouse—as they cross forests, hike mountains, and climb rainbows in order to find God and help the angels. An adventurous, mythical journey! Written & illustrated by a child.